Vaccine breakthroughs and immunization campaigns make for easy headlines, but they are only part of a more complex story. Behind the scenes, activities that ensure vaccines are delivered safely, on time and to the right people are a vital part of a vaccine’s journey from discovery to administration. 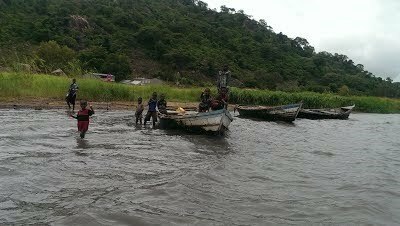 This logistical challenge is especially demanding with communities who live in hard to reach areas or in temporary homes, or move around frequently, such as the large community of fishermen who live and work on Lake Chilwa in Malawi. A well-known hotspot for cholera outbreaks since the 1980s, the lake, which borders with Mozambique, is home to almost 90,000 people, and during the fishing season from March to May the lake sees a massive influx of fishermen, who settle along the shore, on the islands, or in floating homes on the lake, called zimboweras. A major outbreak starting in December 2015 prompted the Malawi Ministry of Health to ask for support from Agence de Médecine Préventive’s (AMP) Vaxichol team and a group of international partners (MSF, UNICEF and WHO) to carry out an oral cholera vaccine (OCV) immunization campaign to control the outbreak, which was potentially triggered by one of the fishermen living in a floating home. This community’s lifestyle makes it difficult for them to access safe water and sanitation, making them even more vulnerable to the disease and logistically more difficult to vaccinate, due to their remoteness and mobility, especially as OCV is taken in two doses 14 days apart. 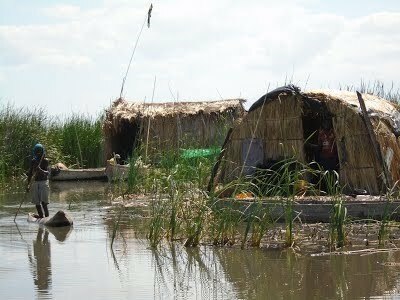 The key was to adapt the immunization strategies and activities to overcome unpredictable routines and hard to reach homes, in particular by giving them varying degrees of autonomy over the second OCV dose, depending on where they lived - the harbor, the islands, or the floating homes. For the residents leaving in the harbor areas located on the shore (around 70,000) the two doses were given under medical supervision. On the islands, however, community leaders took charge of distributing the second dose, which had been delivered to them in cold boxes at the end of the first round. The islanders, more than 6,500, showed their immunization cards and those of other household members before receiving the corresponding number of doses to take on their own at home. This semi-autonomy for vaccine administration went even further with the hardest group to pin down, those living in the zimboweras, estimated at about 6,000 at this time. They received the second dose in a plastic bag during the first round and were told to keep it at home and take it two weeks later. An anthropological assessment to understand people’s perceptions to these strategies found that the community-led second dose was a good idea, but there were concerns about taking it without medical supervision. While almost half of the fishermen on the floating homes were worried about storing the vaccine, which although heat stable should be kept between +2°C and +8°C. Their solution was to give their second dose to the owner of a cluster of floating homes, or a ‘tea room’, for storage and distribution. These innovative approaches meant the campaign quickly reached the most people possible, while solving the logistical problem of a two-dose vaccine. Overall, 180,000 vaccines were delivered in a community where many of its citizens would previously have missed out, making it likely that the campaign helped to decrease the number of cholera cases and limit transmission of the disease in the fishing community. It also demonstrates that autonomy is an acceptable approach for administering a vaccine, and creates options to reach mobile, difficult to access populations, who are often the most vulnerable to cholera. These novel immunization approaches show the importance of building a strong collaboration with other stakeholders, including local leaders, counselors and chiefs, allowing the whole community to be involved. The campaign was carried out in February and March 2016, with a second campaign organized in the same area in November and December, when full autonomy for the second dose was given to both islanders and floating home dwellers. A study to measure the short- to medium-term impact of these strategies is currently ongoing in the area. Thanks to Agence de Médecine Préventive for sharing this important example of how #vaccineswork to save lives in remote communities.